I love coffee. I love the smell..the taste.. How alive I feel after drinking it..and how it makes my skin feel. That’s right…coffee naturally tightens the skin, making it perfect to help reduce cellulite and stretch marks. 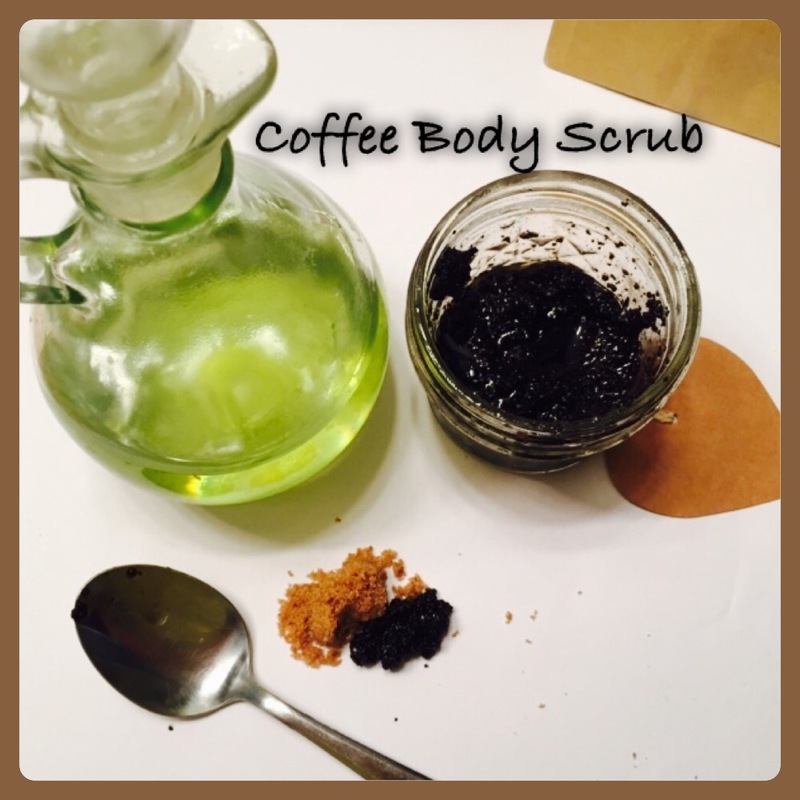 While looking up prevention and remedies for stretch marks with my first son, I came across all this information and recipes involving coffee and have been giving it a go. I’ve come up with this three ingredient recipe here, that works just as well as the pricier versions sold in stores. Combine about one cup coffee and one cup brown sugar together in a bowl and about 3/4 cup grapeseed oil. Whip together until desired consistency. Use it all or store in mason jar, etc.. I use this as a body/face/lip scrub and if working to rid of cellulite, I rub in to areas I wish to see improvement daily. You may even go as far as wrapping with plastic wrap and letting the solution do it job for 20 minutes, rather than just using as a scrub. The coffee contains caffeine, of coarse, which increases blood flow and reduces swelling of your tissues on contact. The brown sugar works as an exfoliating agent. The grapeseed oil is going to naturally brighten the skin and tighten. So there you have it! If going out for a swim and needing a quick skin refresher, this beauty buster is going to have you looking like one hot momma. But do keep in mind, this is a quick fix to get skin tighter… Don’t eat that fourth cupcake at the birthday party, thinking you have mason jar of this at home!! Like all natural recipes, you may use variations or use simply use less. Instead of grapeseed oil, try coconut or olive oil, for instance.